Clive Finkelstein, an Australian computer scientist, known as the "Father" of Information Engineering. In 1961 Finkelstein received his Bachelor of Science from the University of New South Wales in Sydney. After graduation, Finkelstein started working in the field of database processing for IBM in Australia and in the USA. Back in Australia in 1976, he founded the IT consultancy firm Infocom Australia. In 1972 Finkelstein was elected Fellow of the Australian Computer Society. 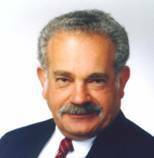 Finkelstein was a distinguished member of the International Advisory Board of DAMA International (Data Administration Management Association), with John Zachman. In 2008 he was awarded a position in the Pearcey Hall of Fame of the ACS in Australia. From 1976 to 1980 Finkelstein developed the concept of Information Engineering, based on original work carried out by him to bridge from strategic business planning to information systems. He wrote the first publication on Information Engineering: a series of six in-depth articles by the same name published by US Computerworld in May - June 1981.He also co-authored with James Martin the influential Savant Institute Report titled: "Information Engineering", published in Nov 1981.